My sister Angela grew an impressive squash this year in San Leandro, California. 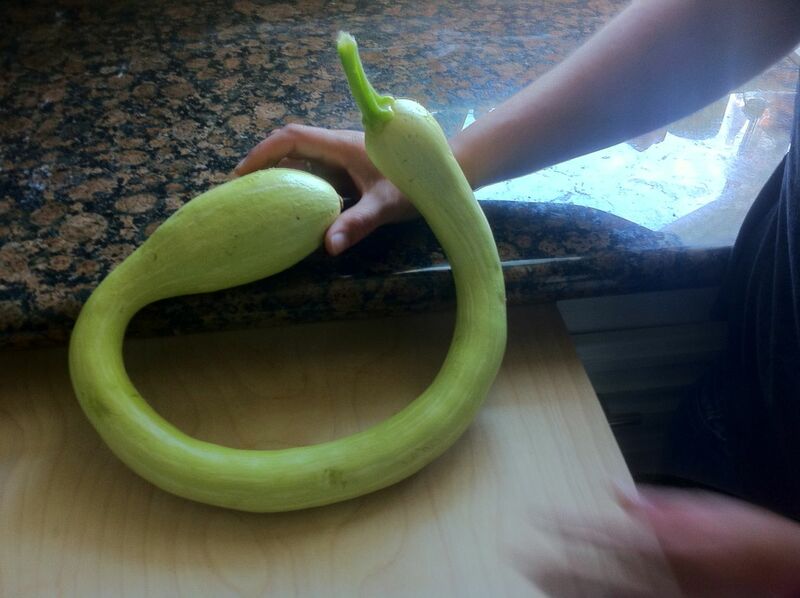 The variety is trombetta di albenga, and it is a long curved light green summer squash. While not grown at the Beach flats garden, I thought it was an impressive display of gardening. I have this squash growing in my garden this year (8-2013)…..altho Im not claim’n this to be accurate but my seeds were packaged label’d as organic South Carolina Healing Squash. Iv been google’n to try and find out more info on the variety and suggest’d use, since here in SouthCarolina it does seem to be having no problems growing. If anyone has any info to share I would greatly appreciate it.